Finding the right caregiver is often challenging, but one of the most important decisions you will make for you and your child. You are the most important person in your child’s life. However, the relationship your child has with his caregiver will also affect how he feels about himself and the world around him as he grows up. Together, we can help your child grow and realize his full potential. 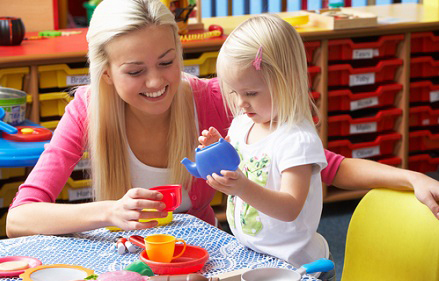 Give your child a head-start in our friendly, comfortable, secure environment. You will put your child on the path to success now and in the future by enrolling at Pumpkin Patch. A baby’s mind actively grows and develops. At Pumpkin Patch, we encourage this natural process by helping babies explore and learn through play. In a safe, nurturing environment, your baby will grasp the fundamentals of fine motor skills, safe mobility and coordination. Through our secure, friendly and hands-on learning centers, we help your little one build strong foundations that will help them explore, engage and thrive. 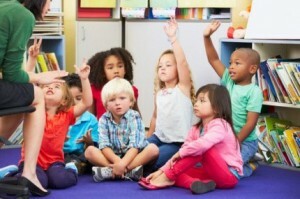 They’ll learn to identify and interact with familiar people, as well as build socialization skills with other infants. Your child isn’t a baby anymore, but they’re not quite a toddler yet. At this age huge strides in language and motor development take place, and your little one goes from crawling to taking their first steps. Through play and interaction with Pumpkin Patch caregivers, your 1 year old will improve their dexterity and use their hands and fingers to point and grasp. Your two year old is growing up quickly, which means new experiences, new friends and new skills. The child care professionals at Pumpkin Patch will help your child learn and grow through a wide range of exciting, hands-on activities. Activities offered include basic shapes and color identification, storytelling, sharing and listening, expressing emotions appropriately and much more. Three-year-olds are incredibly active and naturally curious. Pumpkin Patch teachers work with each child to develop the core concepts used in school. Concepts taught include understanding routines, sensory exploration and advanced ideas like cause-and-effect. Four Year Olds look forward to trying new things and will actively make plans and let their imagination run wild. This is also the perfect time to move beyond the basics and help your little one learn vital skills they’ll use extensively throughout Kindergarten and beyond. Pumpkin Patch teaches fundamental reading skills using the highly-acclaimed Frontline Phonics program to help kids enjoy the fun and excitement of reading on their own. Pumpkin Patch’s school age programs are designed to help give kids a great start to their day at school, and help them wind down in the afternoon while providing extra assistance to complement what they’re currently learning.